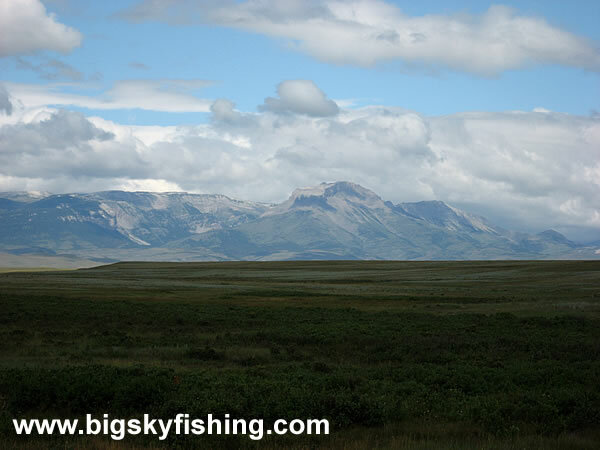 The Northern Rocky Mountain Front Backcountry Drive begins just outside the town of Choteau, Montana. The views, even from the beginning of the drive as seen here, are outstanding. The prairie is vast and the peaks of the Rocky Mountains extend completely across the horizon.